This idea consists of two aspects: Shuttles have an additional, wider travel range which consumes more fuel. Shuttles consume less fuel when launching from smaller planets or moons. Currently, when using a shuttle to reach another planet, sometimes one has to wait quite a long time before a destination planet orbits into range. My suggestion is to have an additional, greater range which avoids this need to wait for most of the time but requires more fuel than the "normal" range. The player should be able to choose between the two ranges, with the possible trade-off between waiting for a far planet to come into range and spending more fuel to reach the destination faster. The wider range should only be available if the shuttle is carrying a sufficient amount of fuel. The second part of my suggestion is to have shuttles consume less fuel when launching from smaller planets or moons, like Barren and Radiated (and maybe also Exotic). This would have an impact especially on how long solid fuel thrusters last. Currently, solid fuel thrusters allow only one interplanetary trip before they are depleted. With more fuel left after launching from small planets, a solid fuel thruster may allow for at least one additional interplanetary trip. This would make smaller planets more attractive for use as "space ports" in the early game, i.e. when only solid fuel thrusters are available. With both aspects of this suggestion combined, solid fuel thrusters could have enough fuel left after launching from a smaller planet to do a single far range interplanetary trip, which would otherwise not be possible with such thrusters. 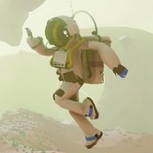 This suggestion would allow for a more strategic and flexible space travel without increasing the game's difficulty for the player. As an alternative, the range of solid fuel thrusters could be made smaller than it currently is. Only after launching from a smaller planet the range currently used in the game was available. This would further enhance the strategic aspect of space travel but also increase the game's difficulty for reaching other planets. Additionally, the in-game progression from using solid fuel thrusters to hydrazine as fuel would feel even more distinct and rewarding. Shuttle to space in rover seat. bug? The ability to launch into space with a rover seat is a homage to the way protagonist Mark Watney eventually lifts off from Mars in the novel/movie "The Martian". Planetary landing sites which are occupied should be colored differently. The blue markers visible from an orbit that you click in order to land your shuttle on a planet should have a different color when something is already placed in that location. That is, if a vehicle bay does not allow you to build because something is blocking the building area OR allows you to build only attachments like seats, cranes, or storage, then the associated landing site bubble should get a different color, e.g. red or yellow. Regardless of color, each bubble should still be selectable for landing your shuttle. The goal is just to give more information about the situation at the landing site. I mostly agree with syterth's assessment and want to add my own impressions after having played the Exotic Moon tech test for several hours. On first sight, it looked different and pretty, and it actually is. 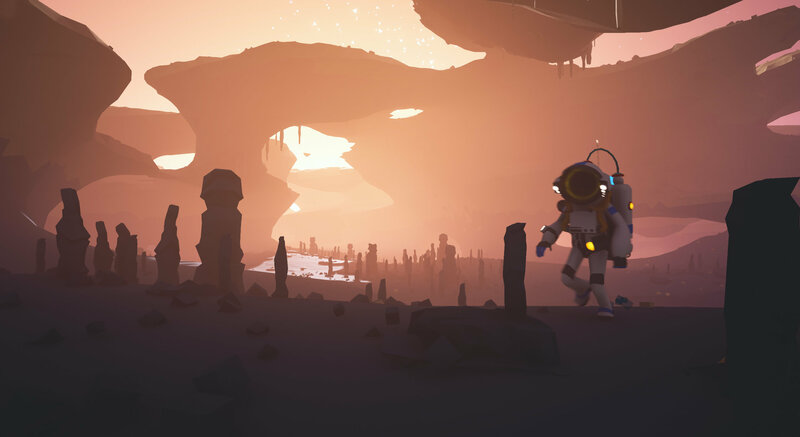 The landscape both on the surface and underground is much harder to navigate when compared to the planets we are used to in Astroneer. Instead of having difficult terrain only in limited areas that can be circumnavigated, the Exotic Moon mostly has rough terrain with occasional, relatively flat calderas. First, I was a little annoyed by this. But now I do enjoy the different playstyle that comes with this moon. I can't just drive basically whereever I want. Instead, I scout with a buggy as far as I can, then continue on foot with tethers to figure out where to build a makeshift road in order to proceed further. It is much slower going than usual, but now I find this relaxing, chugging along in a general direction that I want to explore, using the terrain tool sometimes like a machete, sometimes as a bridge building tool or as a miner's pickaxe to make way. As a side effect, once you have the roads, it is much easier to find your way around and back to base, even without using a single beacon. I find myself planning out in advance where I really want to explore before actually heading off, because it takes so much more effort to go places. For example, I use a small shuttle to get an overview of the moon's surface and decide where I want to go next, i.e. the nearest caldera, or an interesting looking mountain range. I haven't been much in the caves yet (apart from digging to the center of the moon), but what I saw so far appears to be a nice addition to the variety in caves. It seems to be harder to get around, too, but it is a relatively small moon, after all, so distances are generally shorter than on planets, especially underground, where the radius and thus paths along circumferences are even shorter than on the surface. As for terrain 2.0, I found that it performes worse than terrain 1.0, i.e. there is a lower frame rate right from the start. 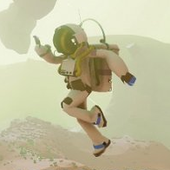 I do like that it is possible again to add terrain directly under your Astroneer, and that uprooted trees disappear instead of becoming even more of an obstacle by lying on the ground. However, uprooting those new plants does neither make them pop nor drop any seeds for me. (I only know of this expected behavior from videos of other players.) I wish that it would be possible to remove all rocks using an inhibitor mod. The bigger ones don't seem to be affected by it, I have to dig them out before they disappear. In conclusion, I'm looking forward to having the Exotic Moon added to the solar system of the main game. If its more demanding landscape will be limited to this moon, then it will be fine, in my opinion. As for creative mode, I already said in the release notes thread that I do like how in-game items are used to implement it for the terrain tech test. My only suggestion for improving it would be to turn both the resource plinth and the gifted amount of bytes into items which the player deliberately has to take in order to use them. For example, place them inside a chest similar to the one used in the tutorial, or make them a choosable startup package/cargo drop offered by the landing pad. Why do you want to restrict creative mode like that? This does not make sense. If you want restrictions, then restrict your game, please, instead of having them implemented for everybody. Really, it is quite simple to do: Take only basic materials from the plinth, and ignore everything else. Do not use the gifted amount of bytes. Instead, use only the bytes that you researched yourself or the research that you can gain from Astronium. Do not use any power from the plinth. I like the approach for a creative mode that is used for the Terrain Tech Test, i.e. providing a resource plinth and a starting amount of bytes which covers nearly all research needed for obtaining every blueprint. I like it especially for the fact that it is implemented within the game instead of as a (menu) setting outside of the actual game. This even allows you to disable creative mode by using dynamite to destroy the one-of-a-kind resource plinth. Maybe there could also be a one-of-a-kind research sample which gives you the 100000 bytes only when you examine it. This would allow you to also remove it with dynamite, in case you do not want to play in creative mode. For the time being, I have no problem to simply ignore the gift and only use the bytes that I researched myself, i.e. those exceeding the amount of 100000. With this setup, the starting conditions are even a little more challenging than those we know from the terrain 1.0 game, especially when you also abandon the initially provided small rover. I agree. I like Wedge's idea of rotating through a list of presets. As an intermediate solution, the rotation keys (defaulted to X and Y on the keyboard) could perhaps toggle on and off augments that are attached to the two sideways slots of the terrain tool, as if they were auxiliary slots. That is, using one rotation key toggles the augment on the top one of the sideways slots, and the other rotation key toggles the augment on the bottom one of the sideways slots, but only when the terrain tool is pulled out. When the terrain tool is stashed away, the rotation keys toggle the two auxiliary slots on the backback (or the respective rover slots, when sitting in a rover), just as usual. BOMUS states a different value for exactly this question 99 out of 100 times. Again, I am not sure that I understand your problem correctly. The extended reach is only active while the terrain tool is pulled out. When it is stashed away, the possibly selectable items should be limited to those within the non-extended reach radius. In that sense, the extended reach feature already is "opt-in", isn't it? I am not sure that I understand what exactly you want. Do you mean "but the reach without the augment should be decreased"? Or do you actually want the reach for grabbing decreased when the terrain tool is put away? What should this new augment increase, the grabbing reach or the terrain deformation distance? 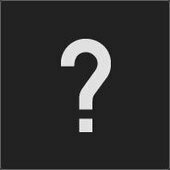 From the Astroneer FAQ: Hence what you can do to actually get what you want is waiting for the release of the game in December and hope that a version for PS4 will become available soon after that.